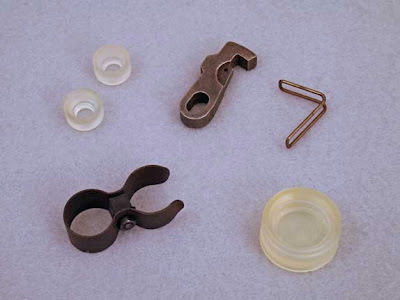 Archer on Airguns: New Industry Brand B3 Parts Kits - Including That Cocking Lever Clip! 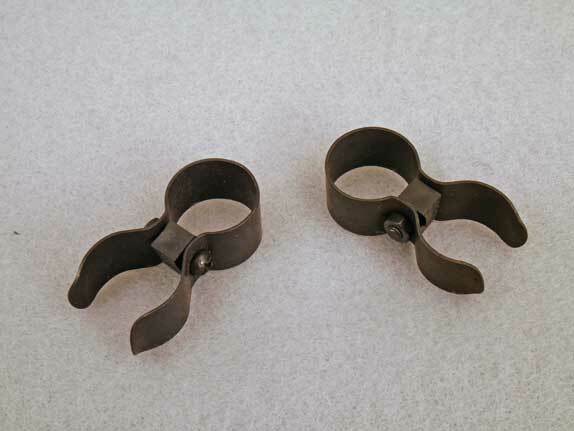 I think that you should also offer the breech seals seperately, perhaps in a package of three. I find that these are the parts that wear out the most for me. How about making a kit up with just the breech seals? Maybe three to a repair kit. But thanks for the suggestion. Yes, we can do that! Please give me a few days and I'll work up a breech seal kit. These seals fit many other Shanghai Airguns models, so they would be useful for more spring/piston air rifles than just the B3. Stephen : Yes , that was me with the double post. Thought I did something wrong the first time, so re-posted. Thankyou for working up these parts kits, Your NY neighbor from the southern tier town with the steam engine train. PS : the QB- 6 in .22 I bought from you back in January is great! Put a William's receiver sight on it. I cannot tell from the photo here, but the synthetic "piston seal", how does it attatch to the end of the piston? When i received my B3 my piston seal was so badly destroyed i could not tell how it was attatched. Does the screw go threw the piston seal or does the seal sit on top of the expansion washer and screw? Hello, please tell me how you can buy or order the delivery of this set in Russia?